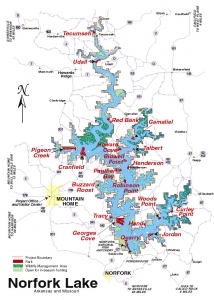 Norfork Lake Map, for your better lake and fishing vacation. Visit us soon! Year Round Fishing and Fun!